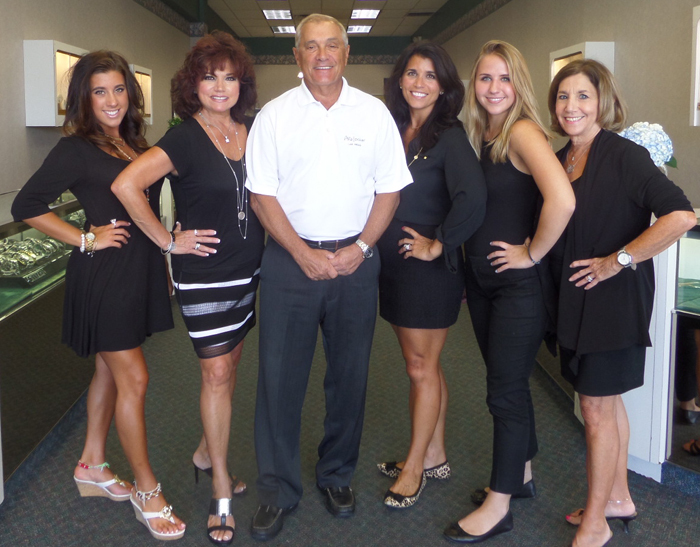 John and Helene, Whitemarsh Jewelers owners, proudly serve Montgomery County and the greater Philadelphia area. John Casinelli, President, opened his doors in 1981. Having managed both department stores and a large jewelry company in Philadelphia. John offers the background and experience required to meet the most discriminating customers' needs. John holds an accounting degree from Philadelphia University and is a GIA (Gemological Institute of America) graduate in Diamonds. John frequents Antwerp, Belgium in order to offer high quality and direct diamond purchase, passing along substantial savings to you, the customer. John's diamond knowledge allows the customer to effectively purchase within any price range. John is an active member within the community, serving many organizations through fundraising and community events. Helene Casinelli, Vice President and Operation Manager, has been working with John since 1981. Helene's attention to detail and ability to interpret her clients' ideas positions Whitemarsh to be a premier jeweler. Stephanie Casinelli McCollum, Sales Manager, has developed a most loyal client base over the years due to her artistic capabilities and dedication. Stephanie is a GIA (Gemological Institute of America) graduate in Diamonds and holds a business degree from Cabrini College.